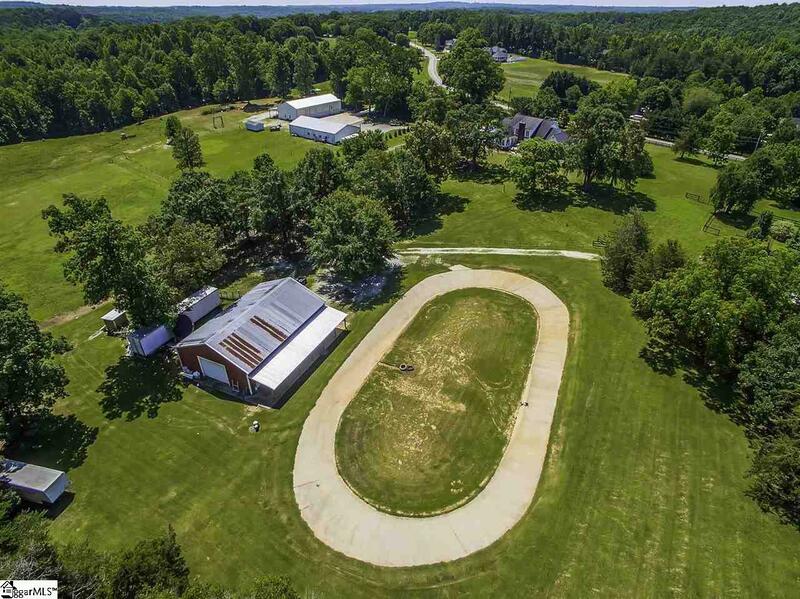 Incredible custom built home sitting on a beautiful 11.74 acres with a phenomenal 8 stall barn in the back! This one owner home is loaded with upgrades and superior features. When owner built this beauty, they did not cut any corners-NO particle board and all real wood. Awesome curb appeal with the tree lined driveway. Relax on the huge rocking chair front porch! Enter and you will immediately notice the A+ quality and fine craftsmanship in this home. Gorgeous, towering two story foyer, custom staircase and ceramic tile will greet you. Huge, formal dining room w/ French doors and chair rail molding. Enormous greatroom floor to ceiling stone fireplace and lots of recessed lighting. Wonderful, country kitchen with newer hardwoods (2018), island w/ sink, wood countertops, custom 42 inch cabinets and spacious breakfast area. Check out the cozy sunroom w/ brick flooring off the breakfast area for your morning coffee! Huge laundry area off kitchen with sink, cabinets, built-in ironing board and desk. Large office on main floor (could be 5th bedroom) with nice built-in shelving. Master on main w/ towering trey ceiling. Great master bath w/ newer farm table countertop (2018) & dual sinks, ceramic tile and enormous jetted tub. Another bedroom and full bath on main level. Gleaming, true Ash hardwoods in most of downstairs. Upstairs boasts two large bedrooms, bonus room w/ fireplace and sitting area off the stairs. Don't miss the ample storage space in the bedroom closets! Other features you don't want to miss: central vacuum system, 7" baseboards, arched windows, fresh paint, crown molding in every room, 5 year old architectural roof, alarm system, port windows and tons of planted trees (Leland cypresses, crepe myrtles, Japanese maples, pecan, peach). 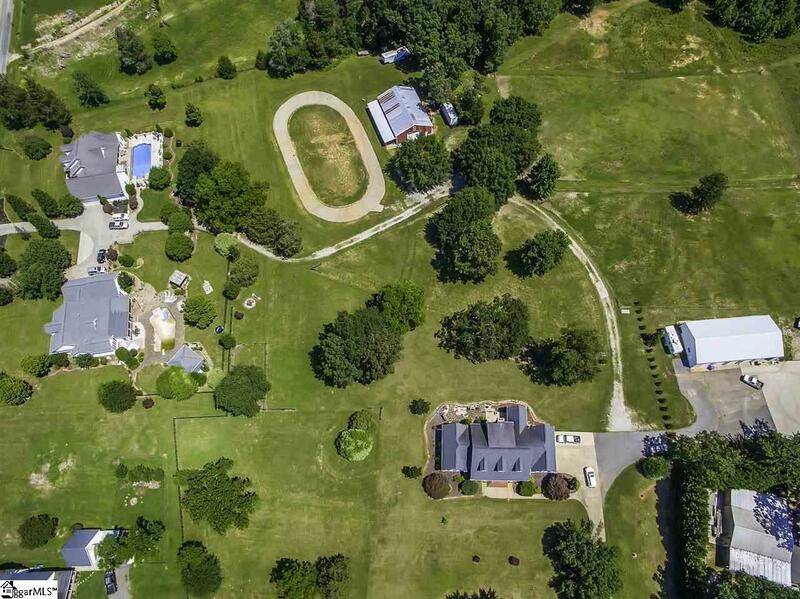 Roam the absolutely gorgeous 11.74 acres w/ fencing. 40X60 Barn in back of property that has 8 stalls, cement floors, cedar lined saddle room and 25X60 shed. The Barn could also be perfect for a large workshop. 700 ft. Go-kart track that could also be used for exercising. 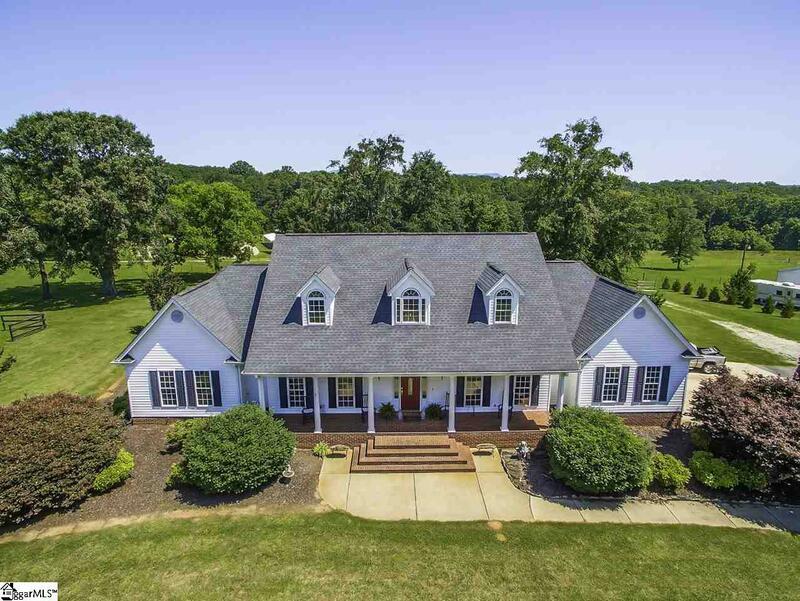 This home and property are in a perfect central location to tons of amenities and attractions: 10 minutes to Wade Hampton Blvd (shopping, dining, grocery), 30 minutes to downtown Greenville, 40 minutes to downtown Spartanburg, 15 minutes to Travelers Rest and 30 minutes to the world class Tryon, NC International Equestrian Center. 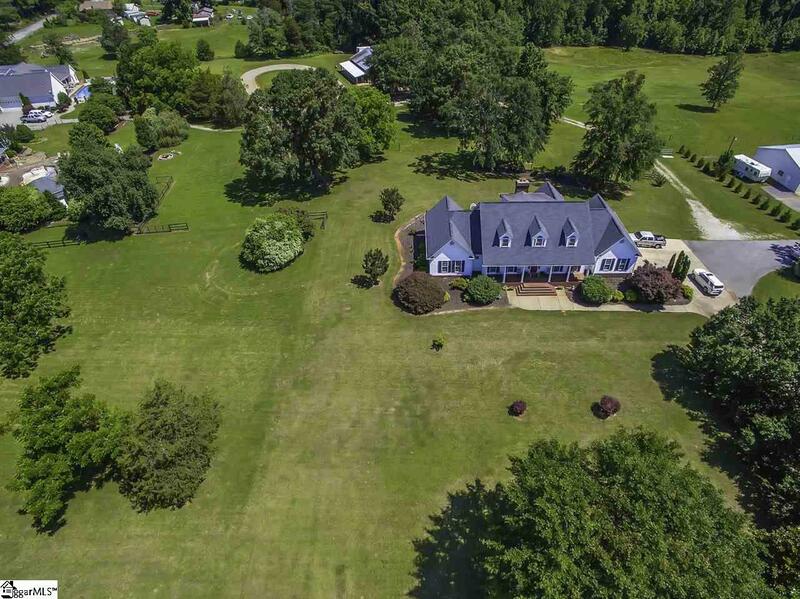 Make your appointment TODAY to come see this well built home and beautiful acreage!